Ceglia will have to reimburse Facebook for more than $89,000 in legal and expert fees, plus nearly $7,000 for related travel. 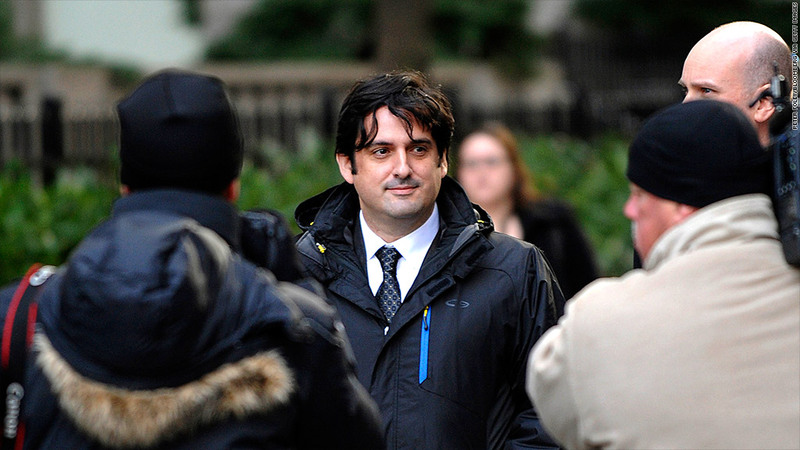 A federal judge has ordered Paul Ceglia, an upstate New York man who claimed he's owed 50% of Facebook, to pay the social network nearly $100,000 in legal and travel fees. The order came after Ceglia canceled 10 planned depositions in July and August at the last minute, after Facebook had already paid its lawyers to prepare for and travel to the depositions. Seven were scrapped with less than 48 hours' notice, and three were canceled with less than 24 hours' notice. As punishment, Ceglia will have to reimburse Facebook for more than $89,000 in legal and expert fees, plus nearly $7,000 for related travel. The bizarre Ceglia-Facebook legal saga began in July 2010, when Ceglia filed suit in New York claiming that he paid Facebook founder Mark Zuckerberg to build a website similar to what became Facebook, and that they agreed to split the company. Both Facebook (FB) and Zuckerberg have strenuously denied Ceglia's claims. Ceglia's credibility took a big hit last month when federal agents arrested him on charges of perpetuating a "multi-billion-dollar scheme" to defraud Facebook. If convicted, Ceglia faces up to 40 years in prison. The government's complaint against Ceglia echoes Facebook's accusations. Ceglia "doctored, fabricated, and destroyed evidence to support his false claim," according to a statement from the U.S. attorney's office. The complaint accuses Ceglia of altering a contract and inventing emails that didn't exist. This week a federal jury indicted Ceglia on the fraud charges. His lawyer, Dean Boland, also filed a motion to withdraw from the case -- although Ceglia is fighting to keep him. Boland did not return a call seeking comment. Ceglia has already lost several legal teams in the past. A judge will have to decide whether Boland will be allowed to leave the case.